As a service-oriented supplier we excel in concentrated robust processes and assembly capabilities to lower costs and improve customer value. With the use of die cutting presses we deliver customized cutting solutions to our customers across the multiple industries that we serve throughout the Americas including the marine and aerospace sectors. As part of our mission we are committed to advancing our processes and capabilities to support our clients with die cutting services and advanced converting services. Call Gardico, Inc. to discuss your need for complete cutting solutions from gaskets to decorative pieces! We use our range of presses from a 20-ton clicker to a 50-ton flat bed press to die cut a variety of stock or customer-provided materials ranging from cork, foam and vegetable fiber to gasket sheet, felt, cloth and rubber. Our custom die cutting capabilities include prototyping, and production quantities ranging from 5 or 10 pieces to tens of thousands in a variety of materials serving a broad range of markets. Whether your requirements are for standard gaskets or involve custom products that must meet ASTM or MIL specifications, we have the equipment, flexibility and expertise to provide high-quality items with superior customer service. 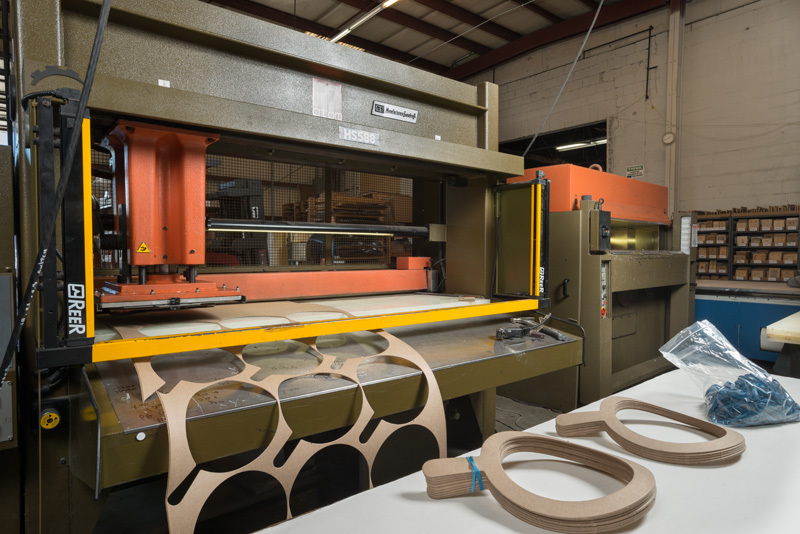 Our rubber die cutting services played a vital role for clients in the industrial market requiring custom die cut rubber and compressed sheet gaskets used to provide reliability of engines and machines. The use of our die cutting press services reaches far beyond die cut gaskets to include a range of standard and custom products with a wide diversity of fabrication materials. If you need custom die cut products with special material requirements such as meeting Navy, MIL, AASHTO, CALTRANS or ASTM standards, come to us.